If you’re looking for a quality stainless steel cookware set, Amazon has a huge price cut on the Cuisinart Multiclad Pro Stainless Steel 6-pc. cookware set. 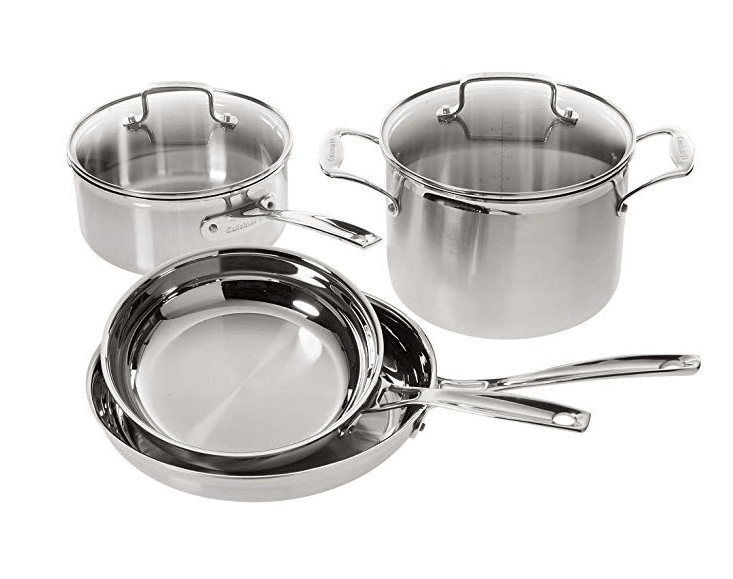 Get this set made with 18/10 stainless steel (the good stuff) for just $109.99 today only as Amazon’s Deal of the Day! This set includes a 3 Qt. Sauce Pan with cover, 6 Qt. Stock Pot with cover, 9” Skillet and a 11″ Skillet. Stainless steel is your best choice for cookware, as even cast iron can leach too much iron into your foods, raising iron levels too high, especially in men, children and non-menstruating women.